A festive assortment of tips to get your e-tail site ready for the seasonal rush. 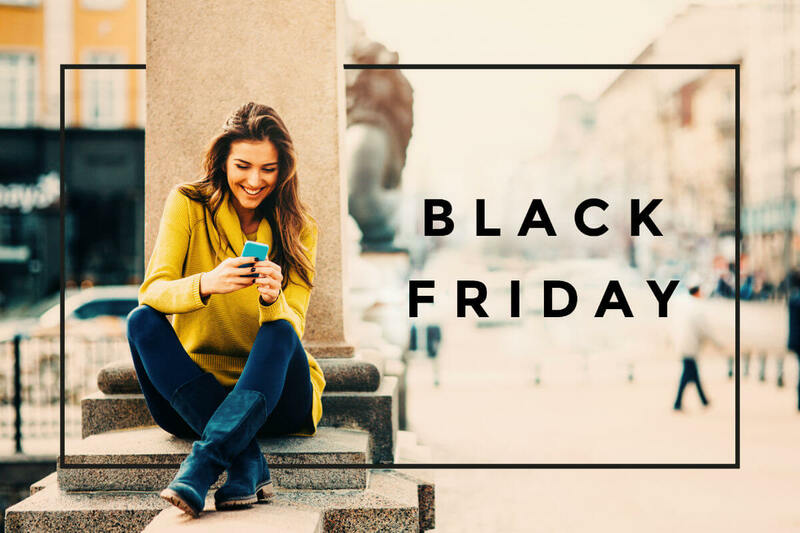 How can e-tailers prepare themselves for Black Friday and beyond? If you read the Absolutdata blog regularly, you know that we frequently talk about the need for speed in the fulfillment department. As sales spike, you need to be certain that your delivery and fulfillment processes are ready to take the extra work. And remember: the faster customers get their orders, the happier they will be. Often, e-tailers don’t have the resources to upscale their fulfillment process at will. Some good planning can help you work with what you do have organize the storage facility, make sure everything is clearly labeled, and plan for extra staff or extra shifts to cover the increased demand. If thatâ€™s not possible, consider partnering with a shipping service for the holiday sales period. If neither option is available to your company, do what you can to keep the customer happy. Offer a tiered shipping policy (free within 10 days, standard within 5 days, premium 2-day or 1-day shipping). If you can, supply tracking info for each package. If not, use emails to keep customers informed about where their order is in the fulfilment process. This leads to our next area: customer service. Once again, this is essential to your business at any time of year. So, donâ€™t forget to strengthen your relationship with existing customers. Reward their loyalty with special discounts or members-only flash sales. Make the online shopping experience as pleasant as possible; youâ€™re probably attracting some first-time shoppers, so now is your chance to impress. As with shipping, your customer service department will be facing more work during this time. Make sure you have processes in place to handle the overflow. If you havenâ€™t already, consider setting up AI-based email automation or chatbots to handle routine matters. Remember, speed is critical, but having a personal touch with each client will win loyalty. One important aspect of customer service/brand building/relationship nurturing is social media. The holiday spending season is the time to be extra-vigilant about the social buzz your company is (or isnâ€™t) generating. You can use tools like OpinionLab to capture customer sentiment, or you can assign employees to monitor the major social media channels. The idea is to play an active part in the conversation: address problems and complaints quickly, and respond to good feedback graciously and with enthusiasm. This will underline your brandâ€™s commitment to their customers. You can also leverage social media to boost your brandâ€™s visibility. Create videos, posts, and other content that attracts the kind of shopper you want, or tailor content to specific interest groups and festivities. Incentivizing shares and likes (â€œShare this and get a discountâ€ or â€œLike us to get a special couponâ€) is a proven way to grow your reach. Finally, donâ€™t forget to optimize your content for social search; as of 2016, Facebook processedÂ 2 billion searches each day. For some shoppers, price is paramount. Traditionally, stores use doorbusters and other limited-time sales to lure customers. These capitalize on the fact that many shoppers put price above customer service, shipping speed, and return policies when making their decisions. However, e-tailers canâ€™t just offer discounts at random. Ideally, the discount will get your customerâ€™s attention, but the customer will also spend enough to make it worthwhile. E-tailers need to carefully personalize the discounts they offer to the customer, otherwise they risk price-chopping themselves out of a significant amount of profit. Targeted pixelsâ€”Â These help you market your site to specific audiencesÂ andÂ monitor how your campaigns are doing. Mobile Optimizationâ€”Â Have a scroll through your mobile site. Is it easy to find and purchase products? Is the site easy to use? Does it work across devices? With an increasing number of purchases coming from mobile channels, itâ€™s in e-tailersâ€™ interest to make the mobile experience as seamless as possible. Mobile for Millennial Dadsâ€”Young dads are much more likely to use a mobile site to make a purchase, so itâ€™s a good idea to target some of your mobile marketing budget to this group. Voice and Visual Searchesâ€”Instead of relying on text-based searches, upgrade to voice- or visual-based searches. Visual searches match items based on the exact product (i.e. Ralph Lauren handbag for Ralph Lauren handbag) or on things that would pair well with it (shoes, silk scarf, etc.) Again, the easier it is for customers to shop, the better. Live Chatâ€”Â Even if you rely on email and phone for most of the year, using live chat during the holidays can be a wise investment. Consumers are on a mission; they want the instant gratification of live chat. Better SEOâ€”Â Youâ€™re probably notÂ addingÂ SEO to your site per se, but you should consider giving your site a refresh. First, make sure everything on your site is accurate, functional, and easy to use. Next, consider adding some seasonally appropriate content that incorporates targeted keywords. Donâ€™t rush these changes; it will take time to build the proper content and make needed tweaks to your site. This is something that you should start months out from Black Friday. As weâ€™ve already discussed, sales and discounts are a major driver for holiday season purchases. The key to creating irresistible offers is in creating micro-targeted marketing plans. This makes total sense if you think about it. A one-size-fits-all offer will necessarily be hit or miss; an offer based on a customerâ€™s unique buying patterns, purchase histories, social media activity, and other data points will resonate more strongly with that customer (and similar customers). Obviously, if you’re going to create these offers you’ll need data. Lots and lots of data. This can come from inside and outside of the company, but itâ€™s all grist to the Big Data mill. What can Big Data do for your seasonal sales? Black Friday and the entire holiday shopping season represents an opportunity for shoppers to score great deals. For retailers, itâ€™s an essential part of their yearly sales intake. By preparing for it now â€” well before the rush â€” e-tailers can make this shopping season a good one. If you happen to be reading this post on November 26 (or even later), donâ€™t fret that thereâ€™s no time to make these changes. Why not start gearing up now for next yearâ€™s Black Friday weekend?